The Canadian Toy Train Association (CTTA) is a fraternal organization of model railroaders, train collectors and operators. Our Club includes men and women from all walks of life. Many members are located in the Vancouver and lower mainland areas of BC, but we have lots of members across Canada and the United States. Our primary focus has been the collectible O gauge, S gauge and Standard gauge model trains. But new and used model trains of all scales are found at our meets. We’re dedicated to the enjoyment of operating and collecting toy trains models of all makes and eras. We are a non-profit, independent association registered under the British Columbia Registry Services Societies Act. We’ve been around since March, 1974 but recently changed our name and became an independent non-affiliated Canadian train club. 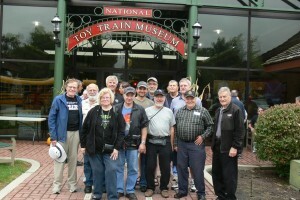 The Canadian Toy Train Association serves about 175 members. We hold regular monthly meetings in Burnaby, B.C. (a suburb of Vancouver) on the last Sunday of each month except July, August, and December. The Canadian Toy Train Association publishes a member newsletter called “Canadian Flyer” 9 times a year. The Flyer contains notices of events, pictures from our meets and public appearances, and articles of interest to our membership. Nominations and election of the CTTA Executive takes place at the Annual General Meeting, held as part of our September club meeting every year. Our President is Mark Horne. What does the CTTA do? Since “Toy Train” is part of our name, members enjoy getting together whenever possible to ‘play trains’. 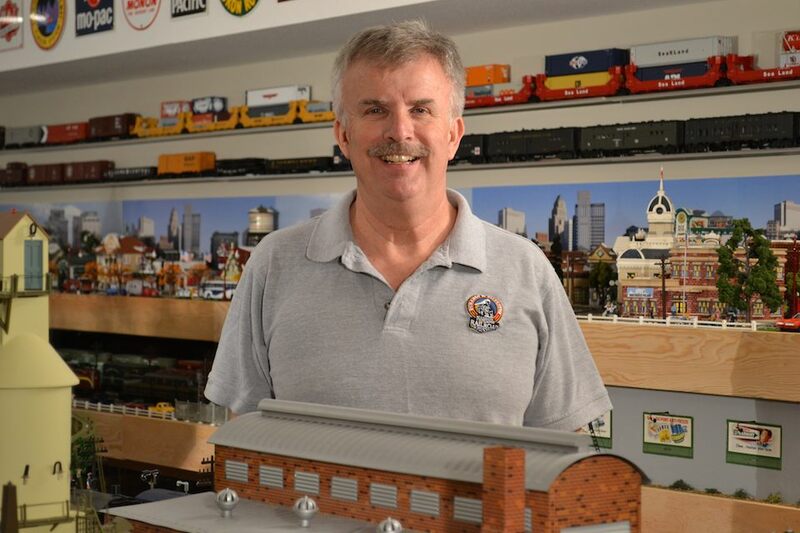 Operating and collecting model trains is our #1 priority! 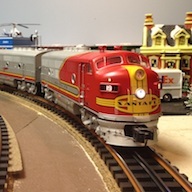 We participate in local train shows and meets and operate our modular layouts. 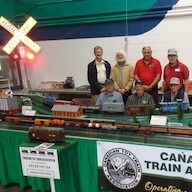 In addition to buying, selling and discussing toy trains at our meetings, the Canadian Toy Train Association has one Modular Layout with model trains which travels to public train shows in the Greater Vancouver area, and a second Modular Layout making public appearances around Victoria and southern Vancouver Island. Members can bring their personal trains to run on the CTTA layouts. The CTTA participates by invitation at employee and family events of Canadian railroads, such as CN Family Day. 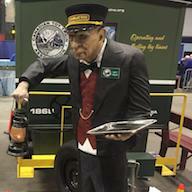 We coordinate a full-day bus trip every year to major train shows in Washington State. This usually includes layout tours and a group meal. We participate in other train shows and layout tours in BC and WA whenever possible. We promote the hobby though friendship and comradery. 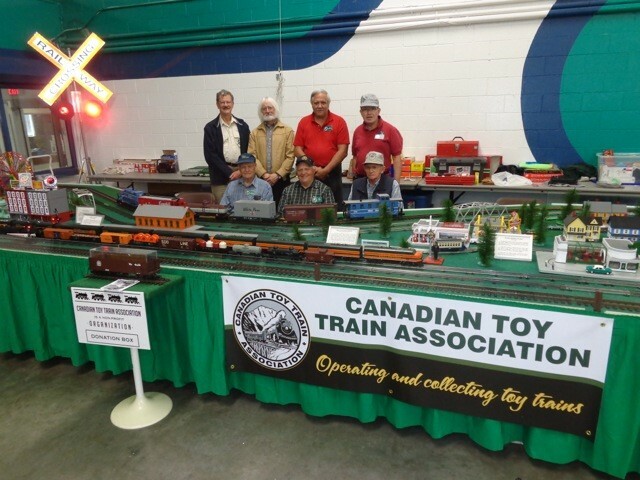 The Canadian Toy Train Association offers wonderful opportunities to share your collection with other members, and at the same time to expand it through train shows, auctions, swap meets, CTTA meets and conventions. Several members have layouts in their homes that they share on special operating nights throughout the year. In addition to the publication of the monthly Canadian Flyer Newsletter published by Secretary Charles Reif, we communicate to the membership with a topical or monthly e-mail newsletter compiled by Web site Manager Kyle Miller. We participate in Social Media. Through our Facebook Group Web page, where members can post pictures and comments of their own. On our YouTube Channel, we publish videos of members’ model trains in action on their layouts, and compile playlists of other videos related to our interests. We feature members layouts and trains on our Web site here, on the various Image Gallery pages, and contribute articles and content relating to the history of toy train manufacturers and the real railroads that interest us. CTTA Nanaimo Train Meet & COOTTS group. Once a quarter, usually the first Sunday in March, June, September and December, CTTA hosts a train meet in Nanaimo on Central Vancouver Island. The meet attracts enthusiasts from Victoria, Campbell River, Port Alberni and all places is between. Occasionally, we even get members from Vancouver. Known locally as the old COOTTS (Collectors Of Old Toy Trains) meets, they consist of table sales, auctions, show and tell talks and annual raffles. These meets are open to all members of the public. We attend the TCA Eastern Division YORK meet every fall. Acknowledged as ‘the mecca’ of model train meets and shows, for collectors, operators and dealers, the bi-annual ‘YORK show’ is a popular event with many of our west coast members. Every year, the CTTA Vancouver members organize a personal trip to the fall show in late October. If you’re a member and you’re going, let us know! See Calendar for dates. We participate in the show itself to shop for trains for our personal collections, as well as taking in some of the activities surrounding the YORK show. The National Train Museum, Horseshoe Curve, Car Shows and Layout Tours have all been part of the fun enjoyed by members. 2013 York show adventurers stop at the National Toy Train Museum. 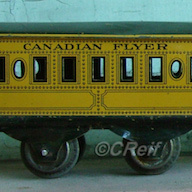 To add to our operating enjoyment and enhance our collections, we commission leading manufacturers to produce for us unique and very collectible “Club Cars” based on Canadian Railroad prototypes. 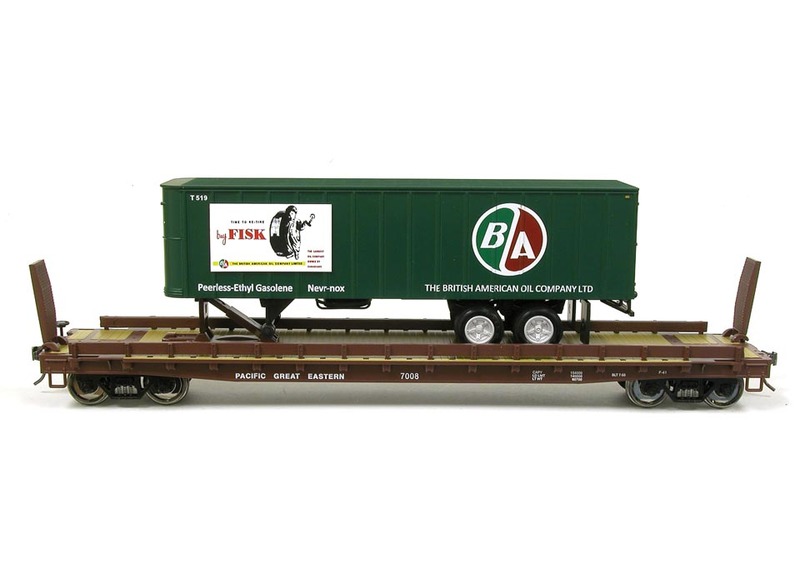 We’ve produced a series of woodside reefers from Atlas O, a series of tank cars from Atlas O, a K-Line caboose, a series of Trailer-on-Flatcars from Weaver, a set of Budd RDC cars from Sunset Models and most recently a caboose and reefer from MTH. Pictured below is a recent example of one of our TOFC series cars. These limited runs of “Club Cars” are made available for sale from time to time through Hobby Shops, Toy Trains magazines and by direct order from CTTA. As a member, you have a guaranteed opportunity to purchase these exclusive model trains, before they are made available through public channels.